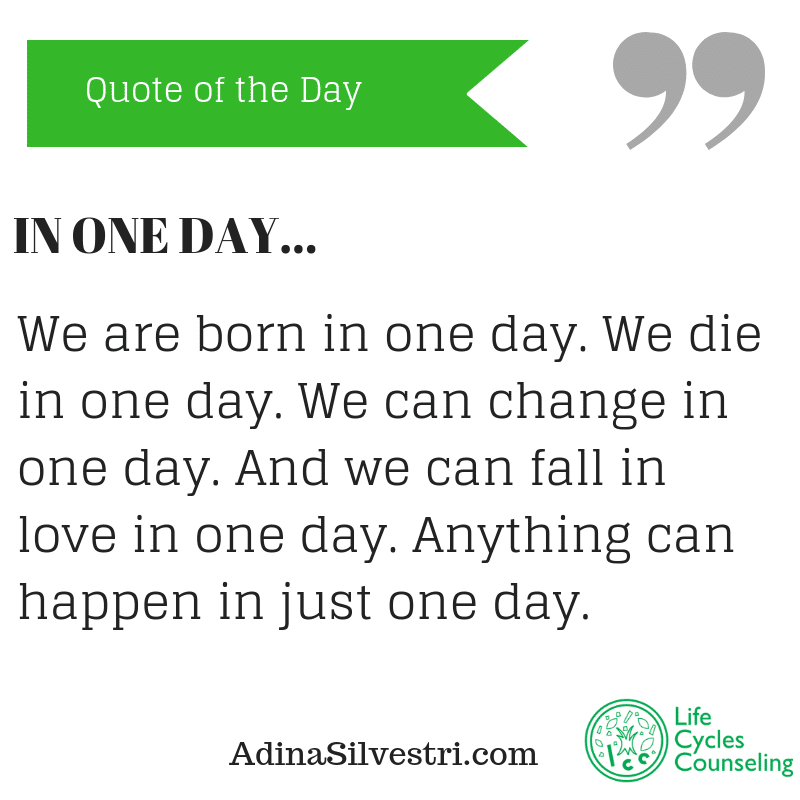 Quote of The Day: in One Day. IN ONE DAY…We are born in one day. We die in one day. We can change in one day. And we can fall in love in one day. Anything can happen in just one day.